Mary Ann Kerstiens, animal control officer with Grand County Animal Control, said animal cruelty is not a huge problem in Grand County. A new bill in the state legislature hopes to curb instances of animal cruelty by preventing people with misdemeanor or felony convictions of animal cruelty from owning a pet. The bill, which is currently in the House Judiciary Committee, would prevent someone with a misdemeanor animal cruelty charge from owning a pet for five years and anyone with a felony cruelty charge would be barred from owning a pet for 10 years. According to The Denver Post, Denver Democrat Rep. Alex Valdez modeled the bill after a California law and aims to give judges more discretion when it comes to the pets of people convicted of abuse. It also allows the judge to include anger management or therapy in sentencing. 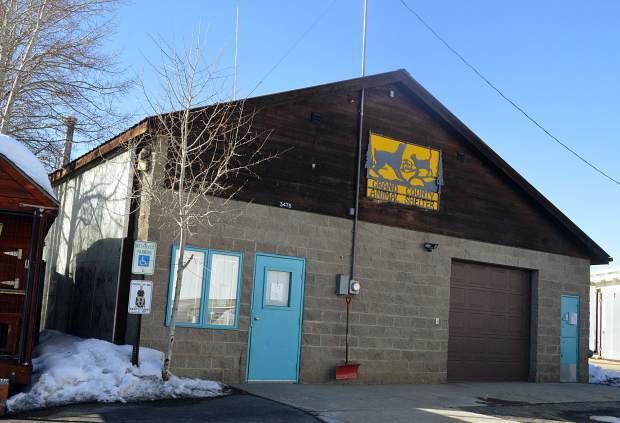 Luckily, Mary Ann Kerstiens, animal control officer with Grand County Animal Control, said animal cruelty is not a huge problem in Grand County. There are cases of owners leaving their pets exposed to the elements or not providing proper care, Kerstiens said, but the majority of the time the shelter speaks with owners, they use it as an educational opportunity. “It’s more educating the people about this is how animals need to be taken care of and it usually gets resolved then,” Kerstiens said. Once the owner has all the information, then the shelter gives them a chance to adjust or, if they are unable to provide the necessary care, they can surrender the animal to the shelter. So far this year, the shelter has only had three animals surrendered – one cat and two dogs. According to Lt. Dan Mayer, spokesperson for the Grand County Sheriff’s Office, the majority of animal-related calls are for an animal at large or vicious animals. “By and large, people up here, most of them, are animal lovers,” he said. The shelter also requires any potential owners to fill out an application and pass a background check before they can adopt an animal. Kerstiens said the shelter can also do in-home checks to see how the owners and animals are adjusting. Unfortunately, Kerstiens pointed out that even if the shelter turns down a potential owner for whatever reason, there are plenty of other ways to get pets. Mayer agreed saying the intention of the law was good, but it would be difficult to enforce. Kerstiens emphasized that community members play a big role in helping prevent abuse or neglect by reporting any instances they see to Grand County Animal Control or, if they feel comfortable, talking to the owner.